NRA spokeswoman Dana Loesch said Thursday morning at CPAC that she wouldn't have been able to exit last night's town hall on the Parkland, Fla. school shooting if she didn't have a security detail. 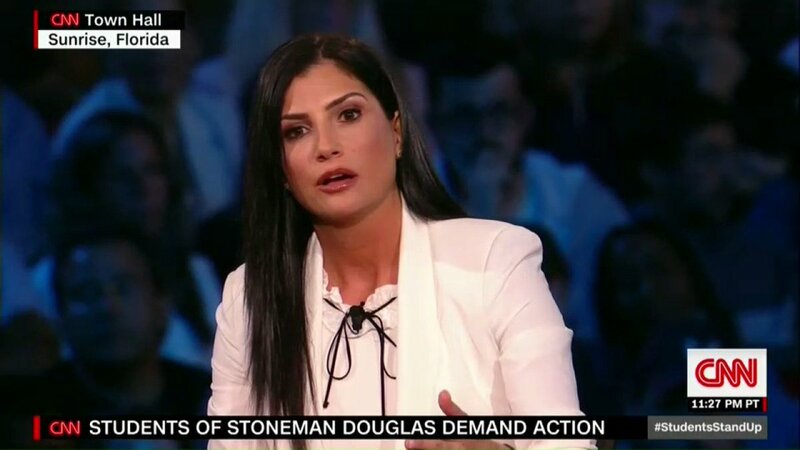 Loesch faced off with students who survived the shooting at a CNN-hosted forum. "I want to make this super obvious point," Loesch said. "The government has proven that they cannot keep you safe. And yet, some people want all of us to disarm. You heard that town hall last night. They cheered the confiscation of firearms. And it was over 5,000 people." "I had to have a security detail to get out," she said of the Sunrise, Fla. event. "I wouldn't be able to exit that if I didn't have a private security detail. There were people rushing the stage and screaming burn her. And I came there to talk solutions and I still am going to continue that conversation on solutions as the NRA has been doing since before I was alive." Loesch said the people who call Trump a tyrant are the same people who want the president to confiscate weapons. "The government can't keep you safe and some people want us to give up our firearms and rely solely upon the protection of the same government that's already failed us numerous times to keep us safe. And then they also call Trump a tyrant but they say they want the president to also confiscate our firearms? Try to figure that one out," Loesch said.